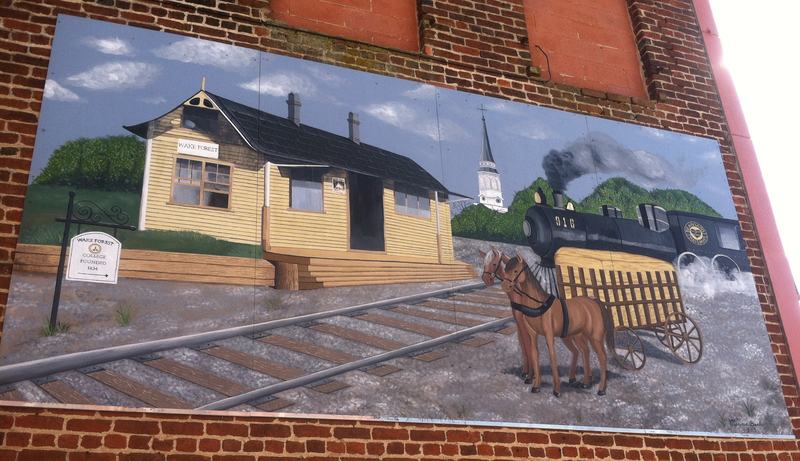 This is a continuation of "Picture This: Greater Raleigh Wall Murals, Part I." 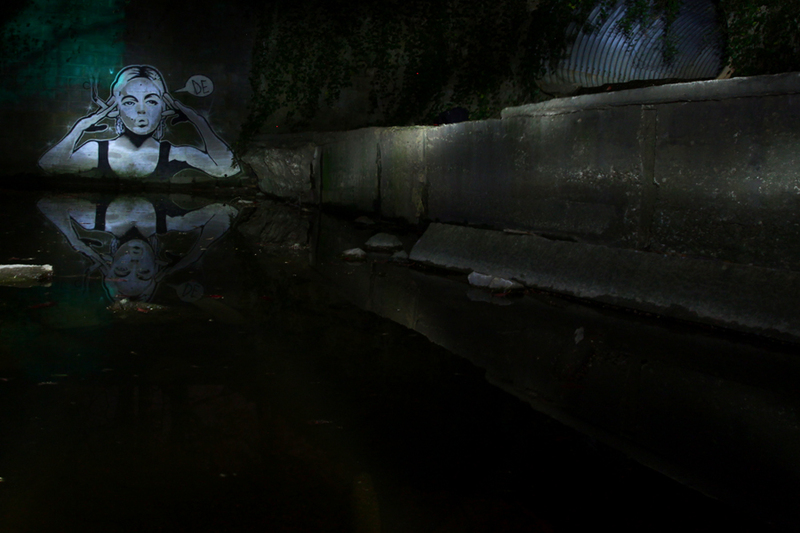 Have we named your favorite version of urban art yet? Be sure to tell us if we’ve missed one! 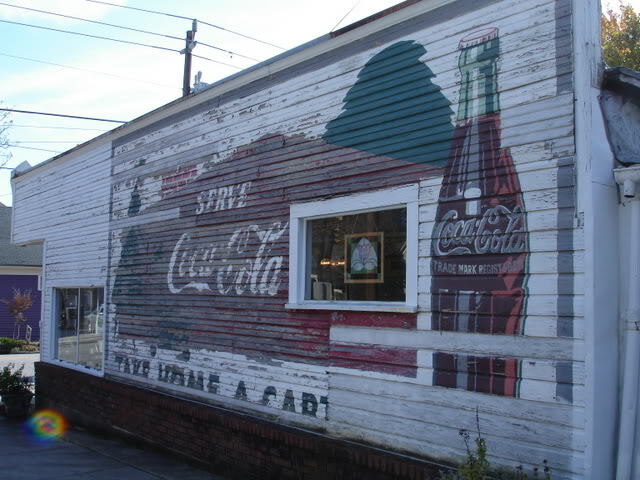 The side of Side Street Restaurant & Catering Service: A tour of quaint Historic Oakwood will bring you to the long running Side Street Restaurant & Catering Service, which features an old Coca-Cola mural on the side of its building. The restaurant is also open for Dec.’s Candlelight Tour of the neighborhood. Hidden Mural at Edna Metz Wells Park: Off the beaten path in a park on the edge of Cameron Village lies a striking mural, supposedly of Edie Sedgewick the original Warhol Factory Girl. Walking trails meander through the mature trees and over the stream. The Color Wall (header photo): North Carolina State University&apos;s kinetic light sculpture Color Wall was first installed in 1972. 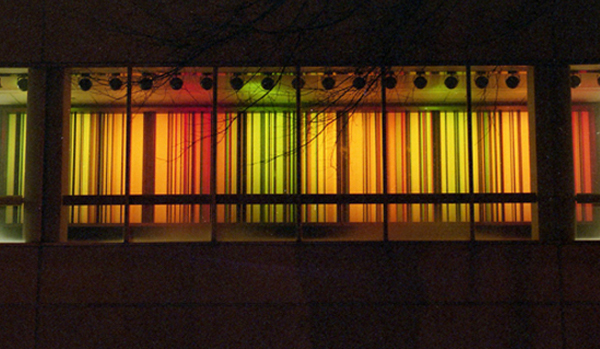 Described as a “symphony in light,” the mural projects from behind a glass wall facing Hillsborough St. on the first floor of D. H. Hill Library. Mission Valley Cinemas: The Avent Ferry Rd. side of the movie theater at Mission Valley was painted by a high school art teacher who is said to have painted himself into it somewhere. “Cary, Then and Now”: Once a grocery store, Sorrell Paint and Wallpaper in downtown Cary (at the intersection of Harrison and W. Chatham) has a wall that is covered with all things Cary. 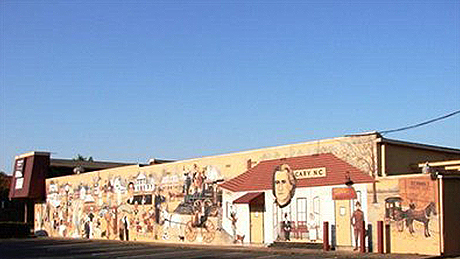 Singer Clay Aiken was added as the mural was created during the time of his American Idol appearance. 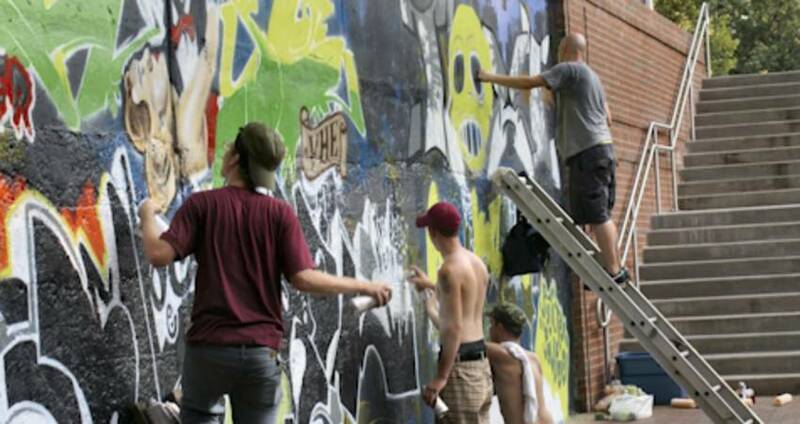 Cary residents are known to point and share parts of the piece during downtown events, and CaryCitizen featured the wall in its Scavenger Hunt a couple of years ago. 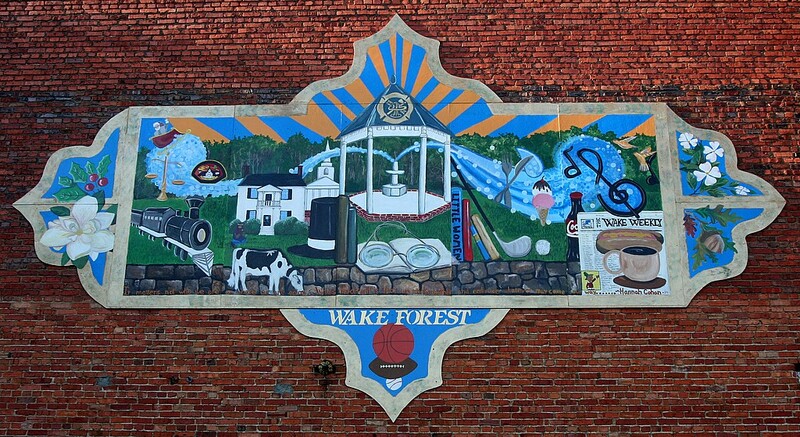 History of Wake Forest: Created by Franklin Academy High School at The Cotton Company, a refurbished cotton warehouse turned shopping center that offers more than 50 specialty shops and an art gallery showcasing the work of local artists and designers. 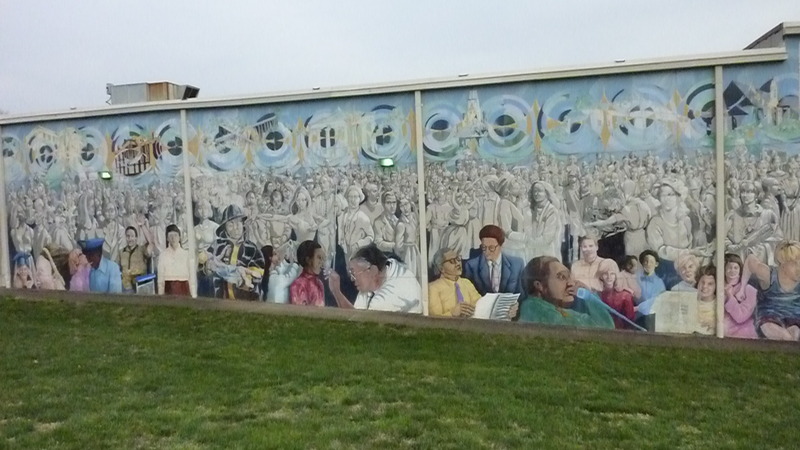 Wake Forest: Another public art piece from Franklin Academy comes from senior Marissa Banks who wanted to show how public art can enrich a community. Her work also includes contributions to the pastoral scene outside of Franklin Academy Elementary School and the firefighting mural inside Fire Station #3 on Forestville Rd. Written by Free Spirit, Kristy (who can be a Creative Genius, Fashionista or Lifelong Learner, depending upon the day of the week). Follow her online.